The CREST Company is available to assist its client's in helping them better achieve their business goals. We take the time to understand our clients company and their industry. We then work with the principals of the client company to be sure we understand the objectives of the engagement. By working closely with company, we are able to develop a customized approach, develop specific and actionable solutions that fit the client company, and make our recommendations in a form and venue of the clients choosing. 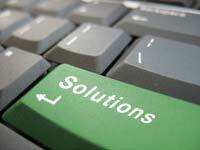 We are also available to provide implementation assistance, up to and including project management. We find that implementation assistance works best when the client company designates an internal project manager to work with us.